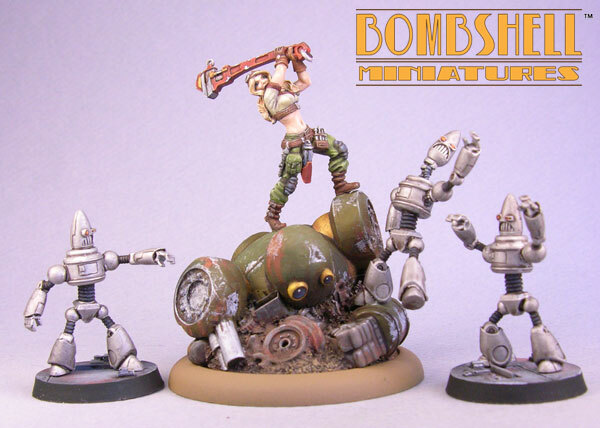 ← Bombshell is now available at WarPath! We are closing in on the final days of the Kickstarter for our Special Edition Maelee Set! Thanks for sticking with us. We have received great comments and messages about the project. As much as it is a relief for you to keep up with, it is for us too. We appreciate the support and encouragement! The masters came in this week and look fantastic! We approved the pieces and they are in production now. It should only be a week or two until we start receiving the castings. We have also put back the sets reserved for the painted rewards levels. Here is a look at what you will be getting in your Special Edition Maelee Sets. We also had an opportunity to assemble and paint a studio set for the label art. 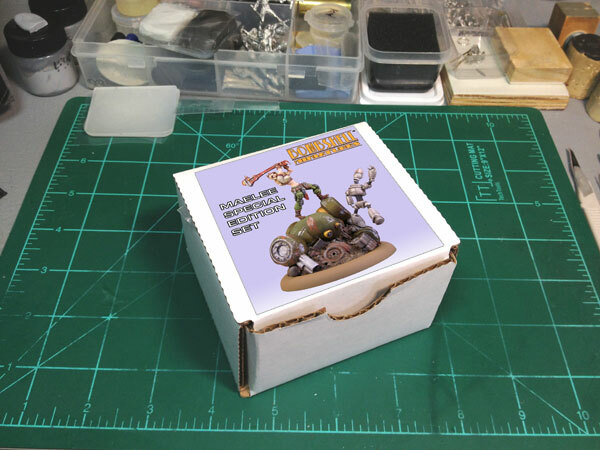 During this week we will be assembling the boxes, packing materials, and printing the certificates. 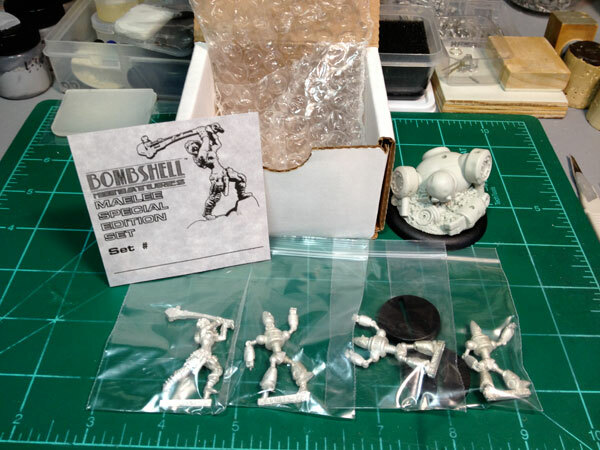 We also have a bit of finalizing to do with our GenCon preparations. Most of the materials, displays, signage and stock have been ordered and it should be coming in within the next two weeks. Lots of packing a prepping is right around the corner!